Archive of posts for November 2013. For the latest posts click here. For the October 2013 archive click here. November 2013 featured The Lazy Darlings, Jon Crocker, Wild Ponies, Big Convoy, Sparkwood & 21, Jonjo Feather, In Fear Of Olive, Dirdsbead, Circus Envy, Luke Doucet, Melissa McClelland, Quiet Loner, The Silver Darlings, The Rainy Day Club, The Farewell State, Old Lost John, Buswell, The Lucky Strikes, Amida, King Quentin, I Concur, Old Man Pie, Roaming Son, The Janskys, Amelia Curran, Peter Katz and The Yellhounds. From Manchester, The Yellhounds came to The Grapes back in 2008. Staying with Canada today, the current most recent WagonWheel newcomer is Peter Katz who played The Greystones earlier this month. As we build up to our last show of 2013, today we go back to our first show of this year when Amelia Curran played The Greystones. Amelia first came to Sheffield in 2009 and this song produced a real pin drop moment at The Grapes. 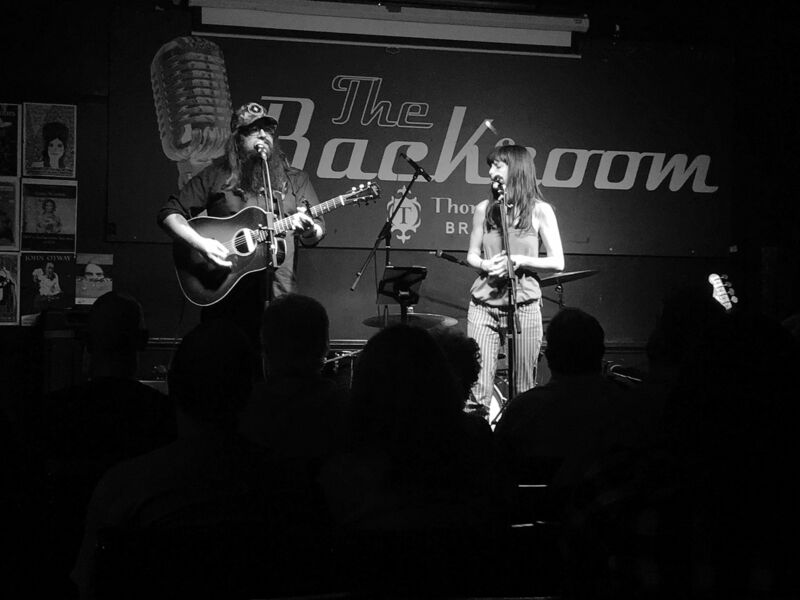 A recent newcomer to the WagonWheel stage, The Janskys played a duo set last month supporting Eef Barzelay at Shakespeares. One half of that duo, Damian Sackett, opened our very first show back in 2006 at The Grapes. Our friends Roaming Son done gone and made a video for their track History Of Violence so today we feature that. 100% Sheffield rock ‘n’ roll. Formed out of a piggery in deepest darkest West Yorkshire, here is one of our favourite slices of Old Man Pie‘s ‘pie music’, last heard of on a WagonWheel stage too long ago. Another take from 2007 at Under The Boardwalk. From the very far end of the WagonWheel spectrum came I Concur. Great band all the same. King Quentin played one of our first shows at Under The Boardwalk in 2007 and their appearances to date have included solo spots from frontman Jody and full band sets. Amida were one time visitors to West Street Live in 2007. Curve ball. Fun though. If we introduced The Lucky Strikes as “your new favourite band”, it wouldn’t be the first time we’d heard them described that way. They’re back with us at Shakespeares tomorrow night, so here’s another taster of what to expect. Swindon’s Buswell found their way to Under The Boardwalk in 2007 and West Street Live the following year as part of UK tours. Purveyor of ‘folk noir’, Old Lost John came to The Grapes in 2009 and has joined us twice more since. Always highly entertaining. From a solo/acoustic appearance in 2010 at The Grapes, The Farewell State have since played several WagonWheel shows in various configurations as the band has grown into something that sounds a little more like this. They’ll be with us at Shakespeares on November 30th. The Rainy Day Club have played a couple of our shows at Shakespeares over the last 18 months or so, and frontman Tom Baxendale returns there this Wednesday to play a solo set. Linking back to yesterday, after leaving The Grapes in 2010 there was an unprecedented 3 month gap between WagonWheel gigs until Andy Whitehouse of The Silver Darlings opened out first show at The Greystones in February 2011. Three years ago today we held our 102nd and last ever show at The Grapes. The very last person to grace that stage for a WagonWheel show was Quiet Loner. Following on from yesterday, we go to Melissa McClelland, the other half of Whitehorse. Melissa played two shows at The Grapes in 2009 before returning with Whitehorse last year. Canadian Luke Doucet first came to The Grapes in 2007 as part of Six Shooter Records’ Triple Barrel Tour and later played our penultimate show there, before more recently coming to The Greystones as one half of Whitehorse. Hull based alt-folkers Circus Envy played one of our Under The Boardwalk shows back in 2007. One of the new faces to the WagonWheel stage in 2013, Dirdsbead has joined us at both The Greystones and Shakespeares this year and hopefully there’ll be more to come in 2014. In Fear Of Olive first played a WagonWheel gig when they came to The Greystones in 2011. The band have since evolved into Laurel Canyons who come to Shakespeares on November 30th. Another one time visitor from the early days, Jonjo Feather played one of our West Street Live shows back in 2007. Liverpool’s Sparkwood & 21 have been frequent visitors to the WagonWheel stage, first coming to Under The Boardwalk back in 2007. Sheffield alt-country ‘supergroup’ Big Convoy is based around the song writing talents of Mat Wale & John Batchelor who play a duo acoustic set at The Greystones this coming Saturday before returning to Shakespeares with the full band in the new year. Wild Ponies were the latest new faces to the WagonWheel stage when they came to Shakespeares this week opening for Rod Picott and backing him as The Gun Shy Dogs. They play the last date of their current UK run in Nottingham tonight. American wanderer Jon Crocker found his way to The Grapes in 2008 for his only WagonWheel appearance to date. The Lazy Darlings were a Leeds based bound who were one time visitors to The Grapes back in 2009.